Properties in Fryeburg Fairgrounds average 4.7 out of 5 stars. Feel like you are vacationing in a wooded wonderland! Property 1: Feel like you are vacationing in a wooded wonderland! Property 2: Private, Updated Chalet Near Storyland! AC, Cable,WiFi,Fire Pit,Pets Welcome! Property 10: 2BR Cozy, Updated, Pet-friendly Chalet-AC, Fire Pit, 3 min Walk to the Beach! Come & get 'Lost on our River' - Charming, secluded cabin, close to it all! Property 11: Come & get 'Lost on our River' - Charming, secluded cabin, close to it all! Property 12: Charming Waterfront Cabin with Mountain View and Private Beach Access! Property 13: Private,Peaceful,Updated 2BR Near Storyland! AC,Lg Porch,WiFi & Pets Welcome! EXCEPTIONAL WATERFRONT LOG CABIN, , ITS AMAZING WHAT'S INCLUDED. Property 15: EXCEPTIONAL WATERFRONT LOG CABIN, , ITS AMAZING WHAT'S INCLUDED. Property 17: Cozy 2 BR w/ AC, WiFi - Near Storyland, Swimming & Hiking - Pets Welcome! Property 20: Family Friendly Rustic Newly Renovated Cabin Abutting The White Lake State Park. A-Frame Camp in the White Mountains! Property 23: A-Frame Camp in the White Mountains! Property 25: Summer! Private Maine Cottage with Hiking, Swimming, and Seasonal Activities! 3BR North Conway Log Cabin w/Private Hot Tub! Property 29: 3BR North Conway Log Cabin w/Private Hot Tub! Property 30: Conway nh Cottage! Perfect for families, amazing views!! Hot Tub! Property 33: Picture Perfect Cabin with a Private Dock. NOW WITH WIFI! Property 34: WELCOME Spring & Summer - Bridgton Bungalow Cottage - Bring Fido - Pet-Friendly! Property 36: 1 mile to Storyland and short drive to many family activities! Great Amenities! Property 38: A mountain cabin with western decor at Echo Lake/Cathedral ledge. Adventure to the mountains of New Hampshire at a fantastic mountain escape! 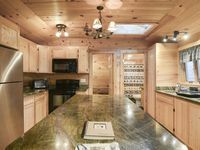 Property 41: Adventure to the mountains of New Hampshire at a fantastic mountain escape! LUXURY LOG Cabin. BEST Views of Mt. Washington & Chocorua. Close To Everything! Property 43: LUXURY LOG Cabin. BEST Views of Mt. Washington & Chocorua. Close To Everything! Property 45: Look out the windows at the mountain fall foliage, close to N. Conway. Property 47: Great beach for kids! Property 48: Island Paradise: Historic Cottage, Waterfalls, Great Swimming! I was only there for a weekend , but wished I could have stayed longer ! The cottage is absolutely adorable. The downstairs stayed dark and cool ... great for sleep . The upstairs was cute and cozy. My favorite part of the cottage was absolutely the view! Tons of great places to hike .... which was my main reason for the stay. I didn&rsquo;t meet the owner , but when I arrived there was a basket of treats and bottle of wine in the kitchen , which I thought was really nice .... he also sent me an email ...which was clear and concise... which was great. There were also plenty of pots , pans etc there , which is really convenient if you are there for a longer stay. Had a wonderful time !